BassetPro is a complete asset tracking system. It uses barcodes, RFID or blue tooth tags and handheld computers to provide a reliable solution enhancing your ability to gather, organize and process information. Handheld computers and autoID tags are very powerful data collection tools. The handheld is a rugged device that provides expandable memory to meet the demanding needs of asset tracking and data storage. Knowing precisely what you own and where it is will save you thousands of dollars. Implementing a system where you can track every asset's location, history, depreciation, maintenance, model & serial numbers will assist you in a smoother audit process. 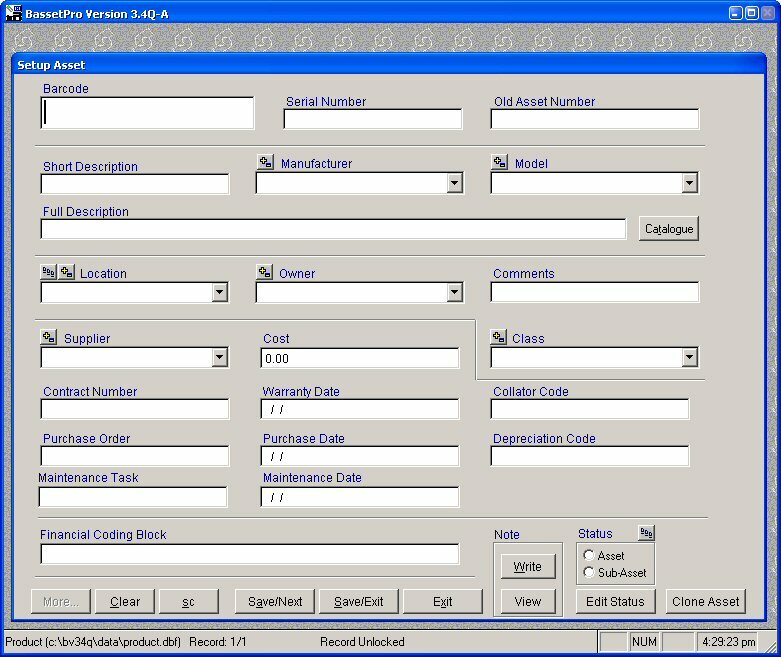 This asset management software will increase your asset database accuracy up to 98.6%. (this an actual result, verified by one of our senior accounts). BassetPro can reduce your inventory count and auditing process time (and cost) by 80%. Ultimately, BassetPro gives managers the information they need to make informed decisions. Senior management like BassetPro because it helps reduce procurement costs, fulfills their obligation to manage the assets of the company, and it gives them the "big picture" on past and future expenditures. 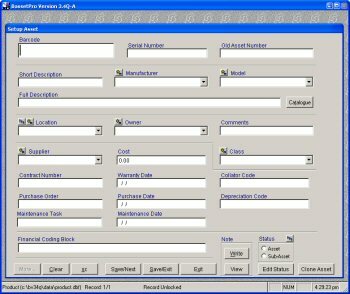 BassetPro is available as a Windows or Web application. Various handheld / input device options are available which work in conjunction with BassetPro. Please be sure to speak to one of our sales representatives for further information. For further information, or for advice and assistance with your application, contact Doreen Wallace.